A combination of geographical data on post-conflict land mines and micro-level economic data allows for the quantification of the long-run effects of land mines on economic performance and development of conflict-affected states such as Mozambique. 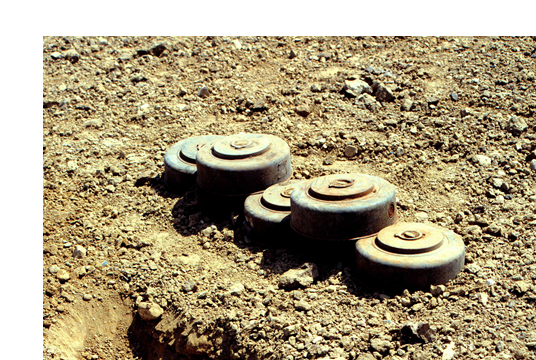 Unexploded land mines as well as other explosive war remnants pose a serious and on-going threat to civilians across many parts of the developing world. Besides the sizable death toll and injuries, land mines hinder development via potentially numerous channels: land mines hamper entrepreneurial activity, impede trade both within and across regions/countries, and limit human capital accumulation by lowering school attendance. The ensuing isolation of the communities circumscribed by minefields exacerbates poverty and underdevelopment. Perhaps most importantly, the isolation hampers entrepreneurship and the emergence of bottom-up sustainable development – adverse effects that this study attempts to quantify. By combining detailed maps on the presence of land mines at the end of the civil war and the subsequent de-mining process with geo-referenced micro-level data from Mozambique, a country that has been massively affected by land mines placed by all conflict actors during the civil war from 1977-1992, the researchers will aim to quantify the effects of land mines on development and entrepreneurial activity. They will assess both the “local” effects of land mines (on the affected communities) and the aggregate (economy-wide) impacts, shed light on the exact mechanisms linking land mines to development (for example, trade, health, human capital, entrepreneurship, agglomeration), and evaluate land mine clearance operations in Mozambique. As the problem of land mines is still important in many conflict-prone countries, such as Angola, the Democratic Republic of Congo, and Cambodia, the results of this analysis will have wider implications than just for Mozambique. The project will enhance understanding on the impact of removing barriers to internal and external trade and labour movements on other development factors such as health, education, local infrastructure and agglomeration. Additionally, the project will also provide valuable insights on the effectiveness of foreign aid, by evaluating the application of financing land de-mining efforts and the provision of technical assistance to these efforts.